“A wise and sensitive pianist” (Gower Festival). “…superbly partnered by Paul Turner’s sensitive and alert accompaniments…that sixth sense of timing which is the true accompanist’s particular gift” (Eastern Daily Press). Pianist Paul Turner specialises in chamber music, having worked with eminent musicians throughout his career, such as Michael Collins, Nicholas Daniel, Caroline Dale, Elizabeth Watts, Sarah Markham, Madeleine Mitchell, Thomas Carroll, Sarah Walker, Alexander Baillie, Patricia Rozario, Jean Rigby, Julius Drake, Joy Farrall, Ruggero Raimondi, Jack Brymer, Jane Eaglen, Michael Whight, Barry Tuckwell, the Emperor, Coull, Bochmann and Heath String Quartets, and the Northern Saxophone Quartet. He has performed at leading venues both at home and abroad; Wigmore Hall, the South Bank Centre and St. Johns Smith Square, Buenos Aires (Theatre de Colon with Maria Ewing), Amsterdam, Stuttgart, Berlin, Bremen, Valencia and Paris. 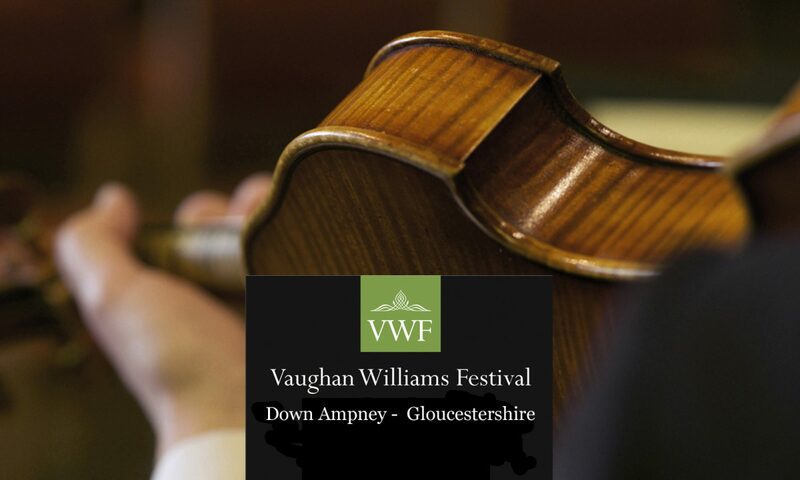 Festival appearances include Cheltenham, (with Elizabeth Watts, broadcast’ live’ by BBC Radio 3 and featured on Sky Arts), Arundel, Buxton, Chichester, Newbury, Norwich and Norfolk, Harrogate, Gower, Salisbury, Cambridge, Bournemouth, Warwick, Ryedale , Blair Atholl and London Opera. Paul performed Mozart’s Piano Concerto K.414 with the English Chamber Orchestra following successful concerts with the ECO Ensemble. Renowned for his sensitive playing, he excels in a wide range of genres “Accompanist Paul Turner was superlative in every way – wonderfully sensitive, with a very wide tonal palette” (Oxford Mail). In addition to his concert schedule, Paul organises several concert series’, most notably at St. Johns Smith Square, London “For his part, Turner offered accompaniment of a high order …intricate piano writing rendered with exemplary clarity and poise” (Richard Whitehouse). “…a rewarding recital, in which Turner demonstrated skill and discernment both as a pianist and as a programme planner. And, in placing Duparc’s often elusive songs within an informed and thought-provoking context, the present concert more than fulfilled its purpose…in this enterprising and very welcome series.” (Classical Source). An honours graduate of the Royal Academy of Music, he won many prizes and awards culminating in the Queen’s Commendation for Excellence and the Peter Pears Accompaniment Prize, adjudicated by Pears himself. Paul was elected an Associate of the Royal Academy of Music in 1996, a discretionary award given to past students in recognition of their contribution to the music profession. His teachers included John Streets and Geoffrey Parsons and his early professional experience included working for organisations such as Live Music Now, the Young Concert Artists Trust and the Countess of Munster Recital Scheme. He has gained invaluable advice from participating in masterclasses given by Elisabeth Schwarzkopf, Pierre Fournier, Arleen Auger, Margreet Honig, Robert Holl, the Songmakers Almanac, Rudolph Jansen, Ralph Gothoni and Martin Isepp, amongst others. A recording artist with Prologue (www.prologuerecords.co.uk), Paul has released both solo and duo CD’s with Sarah Markham and Sally Stocks (***** Classic fm magazine) “…thoroughly enchanting performances and beautifully recorded.” In addition, he has performed on Radio 3’s In Tune with artists including Madeleine Mitchell, Sarah Markham, Ruby Philogene, Elizabeth Watts and Caroline Dale before their Wigmore Hall concert (promoted by ECO) – “She was most ably partnered, never accompanied as this was a true duo partnership, by some fine playing from Paul Turner” (Seen and Heard). Recent new collaborations include Philip Dukes, Dale Trio, David Campbell, Clare McCaldin, Bochmann String Trio, Peter Furniss, Lynn Klock, former Royal Harpist Claire Jones and the Music Of Renown Ensemble (MORE).